The West is currently witnessing the slow destruction of the classical liberal tradition. The casualties are reason, the willingness to question political or religious authority, and the validity of natural science. Replacing these are a crippling intellectual relativism, political apathy, and a grave misunderstanding of natural science and its concomitant ethic. 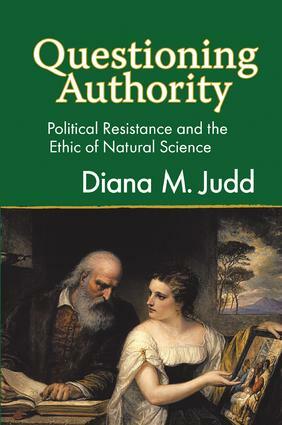 In this work, Diana M. Judd gets to the root of the matter by directly addressing the following questions: What is modern natural science? What effect did it have on how we think about politics? What are the dangers surrounding the marginalization of natural science and the liberal intellectual and political tradition? This is a work of political theory. It seeks to engage the political by addressing the question first posed by the ancient Greeks: How ought we to live? If we have indeed entered the age of endarkenment where religious dogma, intellectual apathy, and unquestioned authority increasingly hold sway, there is a need now, more than ever, to explore the meaning and significance of the origins of the modern political and scientific traditions Americans take for granted. It is from these traditions that Americans received the ideas of legitimate political resistance, reason, individual rights, religious freedom, and natural science. The importance of modern natural science and its relationship to these tenets of classical liberalism is the central concern of this book. Claims that science is dogmatic and ideological, and that the tenets of liberalism divide individuals, have become commonplace. It is Judd's intention to show how these claims err, by exploring what natural science is and how it evolved. This ethic centers on the radical idea that authority must be questioned. We ignore this to our peril. If individuals do not question what leaders say, we abdicate the rights and responsibility of self-rule and individual freedom.